Metformin, a drug used to lower insulin levels in diabetics, has been shown to halt tumor progression by cutting cancer cells’ energy supply. A new Northwestern Medicine study found a gel form of tamoxifen applied to the breasts of women with noninvasive breast cancer has fewer side effects than the same drug taken in oral form. Radioembolization may offer an alternative to chemotherapy for breast cancer patients whose tumors have spread to the liver. A Northwestern Medicine study finds more frequent testing combined with automated reminders yields dramatic improvements in colorectal cancer screening rates among low-income and minority communities. 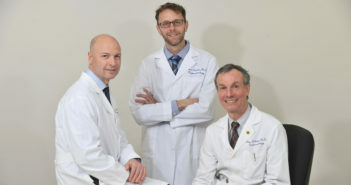 A group of physician-scientists at Northwestern Medicine has shown that 10 mL of local anesthetic has the same effect as the commonly used 30 mL to provide sciatic block in patients undergoing knee replacement. Study upends our understanding of vitamin E and ties the increasing consumption of supposedly healthy vitamin E-rich oils to the rising incidence of lung inflammation and, possibly, asthma. A new human simulation training program – based on software originally used to train FBI agents – helps adults with autism improve their job interview skills and confidence. Findings indicate that regular vitamin D screenings may be beneficial, especially for African- and European-American men. 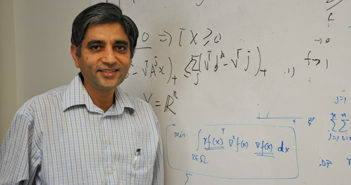 Sanjay Mehrotra, PhD, director of the new Center for Engineering and Health (CEH) aims to develop data-driven engineering solutions to a range of national healthcare delivery problems.